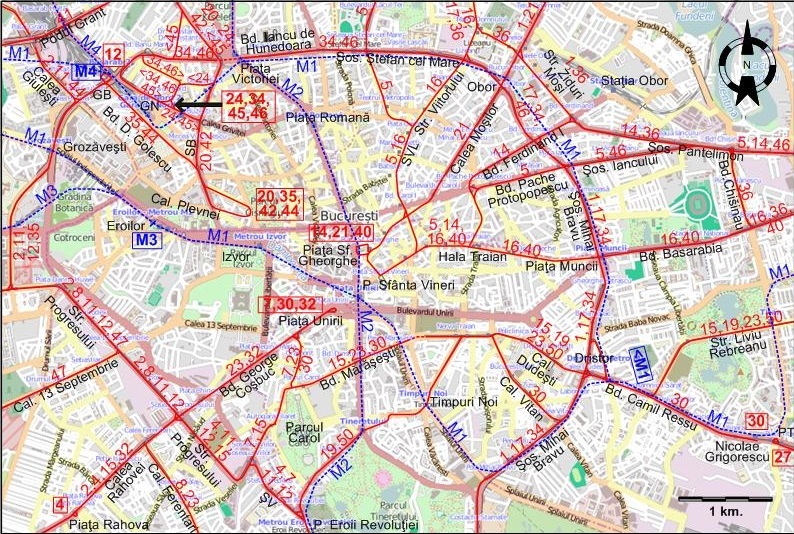 Note: Names of streets, squares etc. used below and on the maps are as they are today. City trams (horse-drawn): 28 Dec. 1872 - 1929; (electric): 9 Dec. 1894 - today. Metro: 19 Nov. 1979 - today. 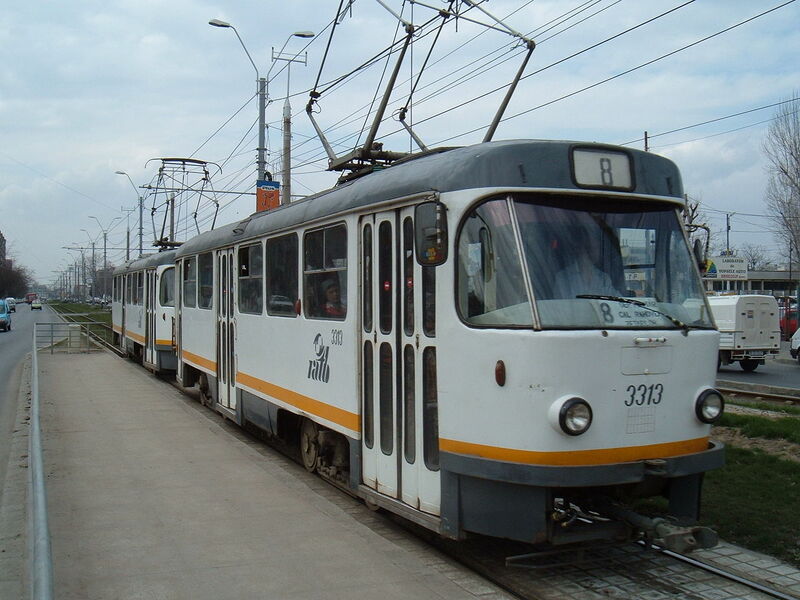 Griffiths, N. "Bucuresti tramways in mid-1993" Light Rail & Modern Tramway. Oct. 1994 (57: 682), p.258-268. 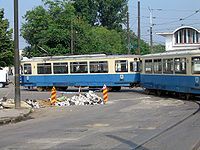 Russell, M. "Romania's tramway revival: Bucureşti" Tramways & Urban Transit. May 2016 (79: 941), p.173-174. Wansbeek, C.J. 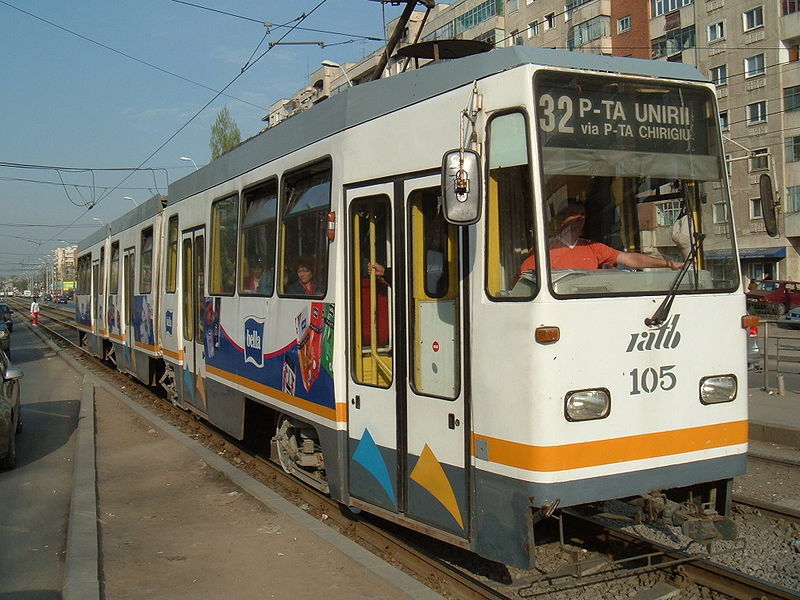 "Bucharest: New trams, line refurbishment" Tramways & Urban Transit. Aug. 2007 (70: 836), p.301-304. 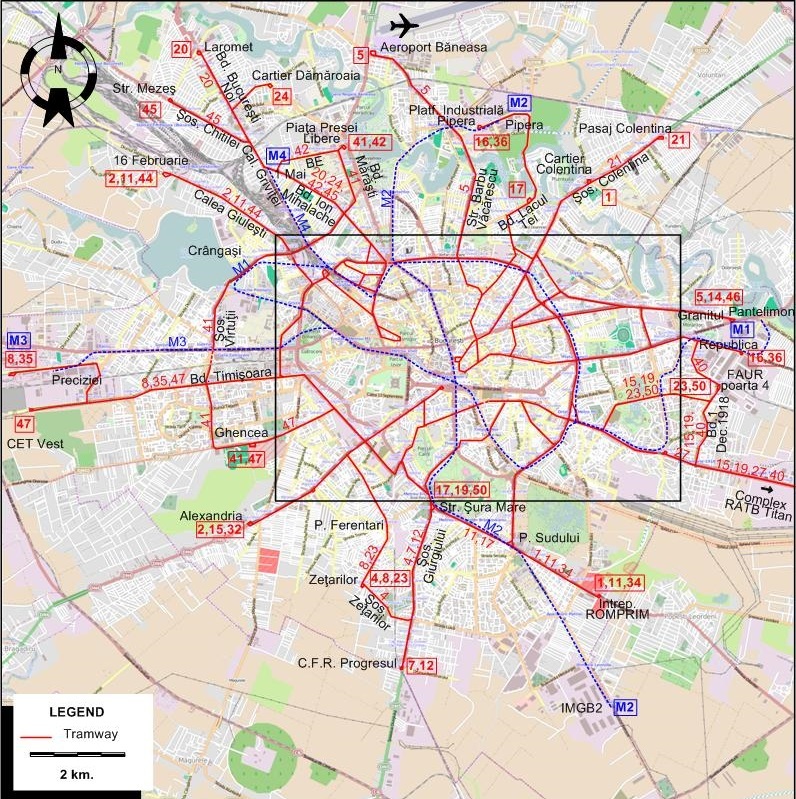 Enormous thanks are due to Mr Silviu-Costin Iancu of Bucharest for the large amount of useful information (consisting of maps, route lists, photos, personal communication) concerning the history of tramways in Bucharest.